What kind of book is this? It’s a book to give you hope. To help you find peace. To strengthen your faith. To change you. Of course there are a lot of books out there that promise to do the above. So what’s the difference with this one? It’s practical. After every chapter it gives you ideas and tips to put the theology into practice. It’s interactive. You can read it on your own, but it’s also designed to be discussed in a small group. It’s insightful. This is no bland re-hash of everything you have read before about the Christian disciplines. It’s fresh, but without being gimmicky. And finally, it’s affirming. Smith describes a God who delights in us, who loves us “in spite of”, who rides with us, who has a plan for our life, who wants to change us. That’s a great encouragement, as is this book. This book has been an encouragement to me and also to the other elders as we have shared from it these past few months. 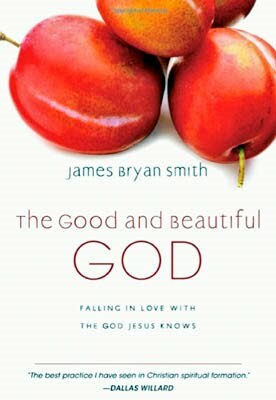 I recommend it as a book that will give a new perspective on our good, beautiful and loving God!